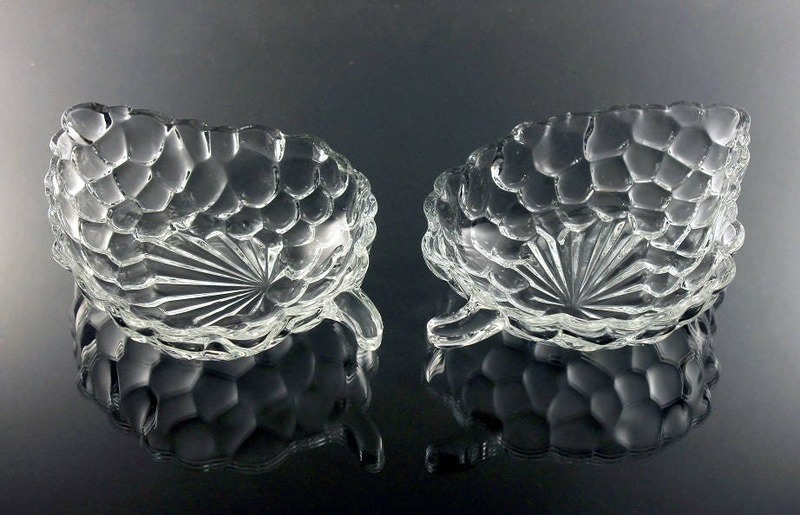 A beautiful pair of Anchor Hocking relish dishes. 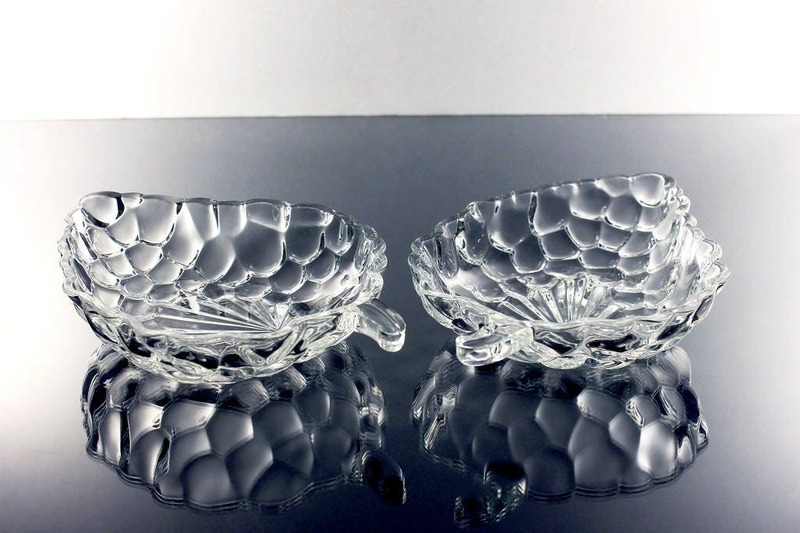 The pattern is called Bubble Clear and these bowls are the shape of grape clusters. 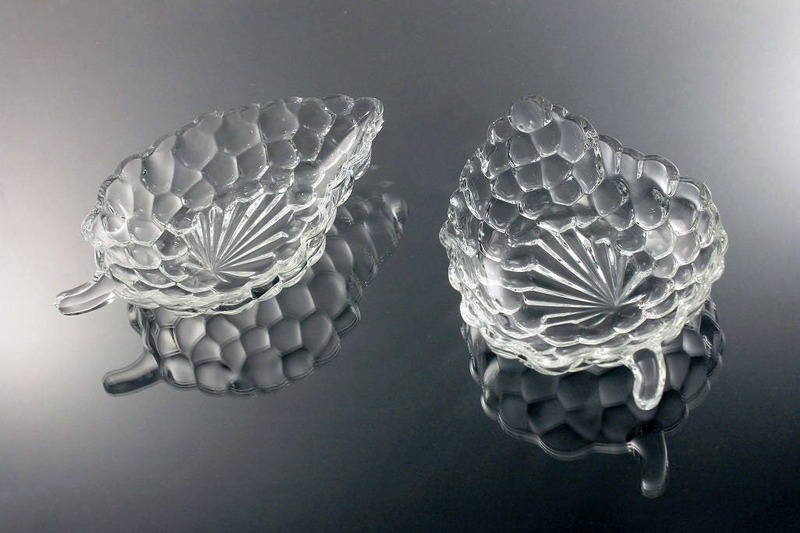 As a serving dish, this would be ideal for nuts, candy, salsas, sauces, relishes and such. 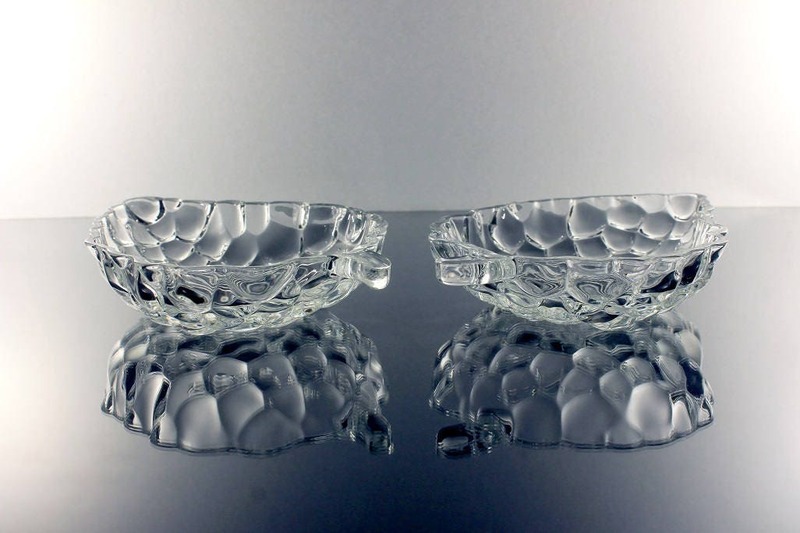 These dishes were made between 1934 - 1965. 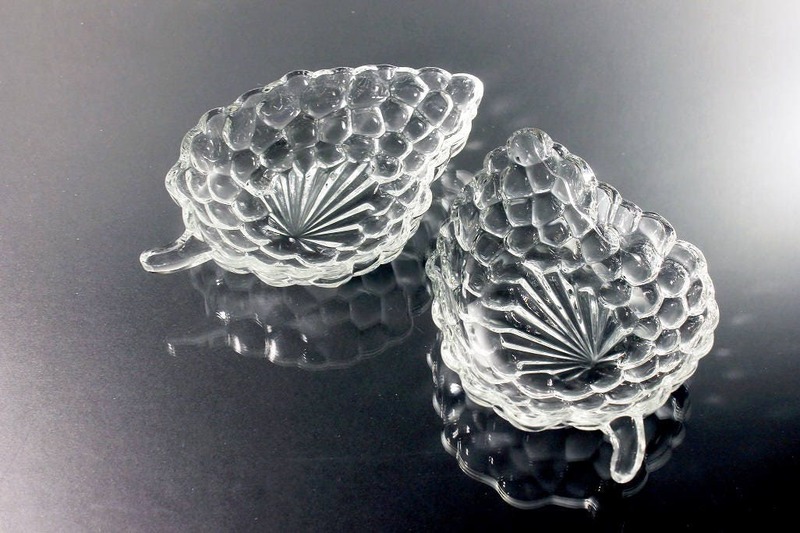 These lovely dishes are in very good condition. There are no cracks or utensil marks. They do have flea bite chips around the edges but this is normal considering their age. They can be felt rather than seen. 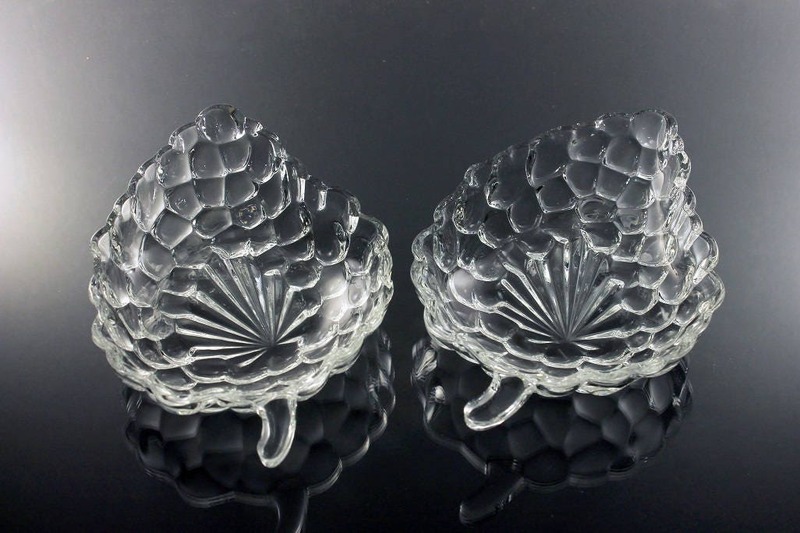 My mother, now deceased, gave me a set of these many years ago. Over time, many of them broke. I was thrilled to see these listed on Etsy and I thank you, Joe for providing me the opportunity to replace some of the broken ones. They arrived on time and intact. The memory of my mother lives on!